This article will describe installing DokuWiki. If you use http instead of https, change 443 to 80 and delete SSLXXX directive in /etc/httpd/conf.d/dokuwiki.conf. 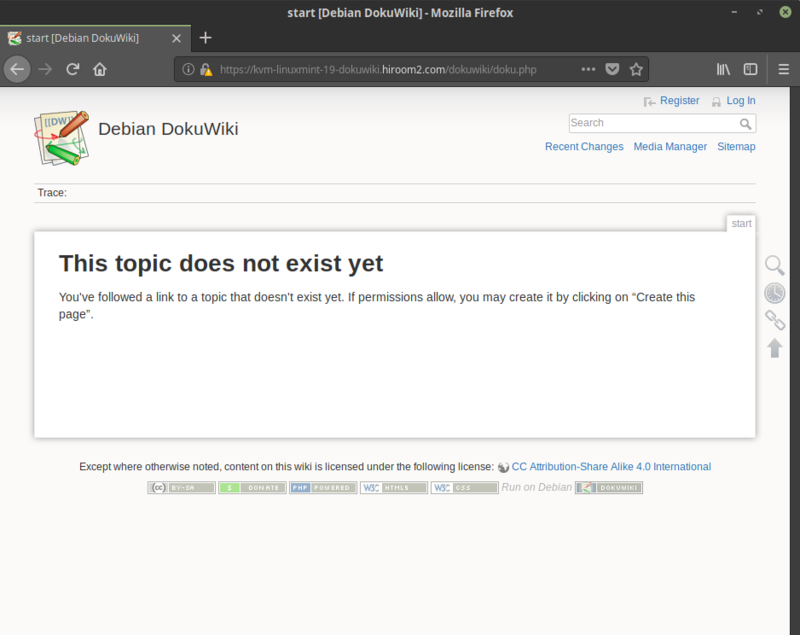 # BUG: DokuWiki upstream has fixed this error. DokuWiki page is displayed. Login to DokuWiki with inputing admin to user and DOKUWIKI_PASSWD value to password.